A bill recently introduced in Texas seeks to obliterate the Federal Reserve’s much-maligned monopoly on currency by establishing gold and silver as legal tender — but the groundbreaking legislation, if passed, would also prohibit those precious metals from being seized by State authorities. If passed, Texans would secure stability by reclaiming their purchasing power — without being subject to the whims of The Fed — an institution widely regarded as a devious manipulator of currencies and markets. Further subverting the current economy’s fealty to Dr. Ron Paul’s Enemy Number One, SB 2097, as the legislation is better known, would prevent any contracts explicitly to be paid in silver or gold to be instead paid with Federal Reserve notes — if you agree to pay in precious coins, you cannot then proffer payment in dollars. Enforcing such contracts legally, the Tenth Amendment Center notes, would encourage their proliferation — and that of gold and silver coinage. It wasn’t until 1913, with the passage of the Federal Reserve Act — which only came after a concerted, covert campaign by U.S. banking magnates — that the loosely hybrid system placed massive control of money in the hands of Big Banks with little oversight from the government. But the ‘central banking’ system has failed to prevent further financial crises — and has been given even a greater chokehold and increased authority as compensation. Additionally, fiat currency has become a monster issue — once gold no longer backed U.S. dollars beginning in 1971, excuses to just print more bills naturally multiplied. Where the public has no voice in the value of Federal Reserve Notes, Texans — and any states to follow its lead — could theoretically eschew using dollars, altogether, in favor of payment in gold and silver coins. 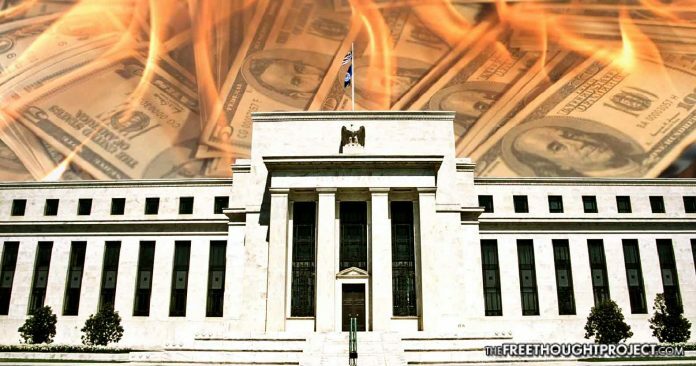 As it stands, officials of the Federal Reserve — a private institution — make decisions behind closed doors, where collusion and corruption can easily sway opinion away from the public’s, if not world’s, best interests. Notably, the most efficacious watchdog against such practices in any given industry — an independent audit — has never been required of The Fed. If passed, Texas would join a smattering of states instituting sound money policies by returning gold and silver to a status as legitimate currency the metals have enjoyed throughout much of recorded history. Should lawmakers side with the financial interests of Texans and pass this legislation, Texas would join Utah, which began recognizing gold and silver coins issued by the United States as legal tender in 2011.